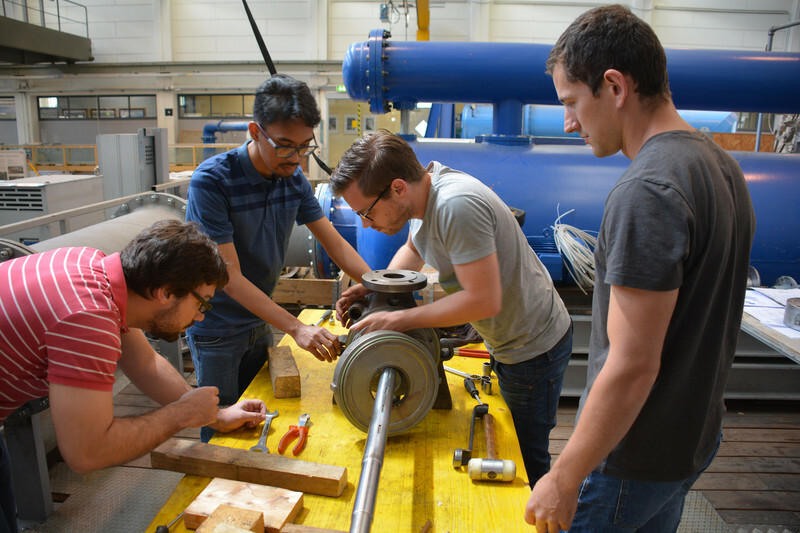 Installation of a multi-stage pump provided as practical training at the Graz University of Technology. The first attendance week within the scope of the PE study course E1617 at the Graz University of Technology - with participants from Brazil, Canada, Germany, Indonesia, Malaysia, Poland and Singapore - has been a great success. The agenda at the Institute of Hydraulic Fluid Machinery covered the contents of the modules Plant and/or system calculations and Pump assembly. 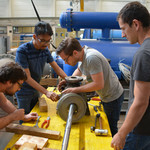 During the installation exercises, various types of rotary and displacement pumps have been disassembled into the smallest parts and then reassembled.